For twenty years and counting, brothers Jim and Jason Ebel have built their business the only way they know how—with passion and attention to craft. And it’s paid off. 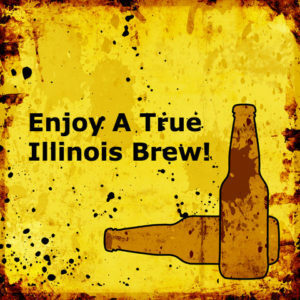 Their Two Brothers Brewing, located in Warrenville, Illinois, has blossomed into a lifestyle brand that includes multiple products throughout more than a dozen states. One of the first craft brewers in the state, Two Brothers began with just a couple of milk tanks contributed by their grandfather, a dairy farmer. The company now operates a finely-tuned 40,000 square foot facility with a 50 barrel brewing system and 3,000 barrels for fermentation. They have also branched into food, with four Illinois restaurants (in Warrenville, Oak Park, Naperville, and Aurora) and one in Scottsdale, Arizona. Two Brothers brews seven year-round beers, including the flagship French Country Ale, a toasty amber ale with a light hoppy finish. Seasonal beers include an Oktoberfest-style lager, refreshing summertime brews, and several that are ideal for cooler days, such as Northwind Imperial Stout. And check out Two Brothers festive Peppermint Bark Porter, a dessert pour that’s toasty warm. Tours of the brewery are offered on Saturday afternoons and last about 45 minutes. Tours: Saturdays at 1:00 p.m., 2:00 p.m., 3:00 p.m. 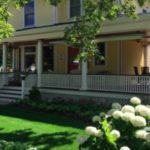 If you’re heading to the western Chicago area where the brewery and several of their restaurants are located, check out the Harrison House Bed & Breakfast in Naperville. The restored 1904 home offers six guest rooms with private baths, with the charm of a period home and all the modern conveniences you want. This entry was posted in Food and wine, Illinois Bed and Breakfasts, Wineries and Breweries and tagged Craft breweries, Illinois Bed & Breakfasts by admin. Bookmark the permalink.